The courses and video libraries listed below are specific to "DirectLogic family of PLC's" (05 - 06 - 105 - 205 - 405 families & 350CPU), DirectSoft software and include ALL videos offered in the "Intro to PLC 101" section of this site. Recently Added BCD math, Real math, Number format conversions and one shot to all offerings below. 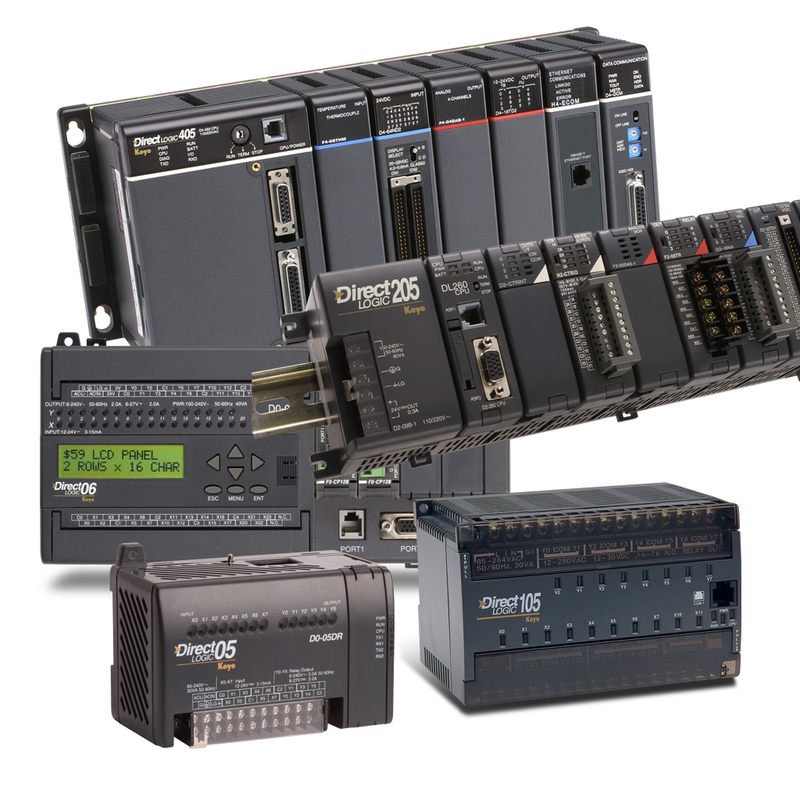 If you would like to purchase a Directlogic PLC hardware trainer separately click here. The trainer uses a D0-05DD-D PLC unit. If you order the Basic Directlogic PLC "Certificate Course" below - you will have an opportunity to purchase a trainer at a $20 discount from the list price of $224 with free shipping ($12 savings on shipping) once enrolled in the course. DirectLogic 100 Programming software is free and can be used to follow along with this video library using the hardware trainer. DirectSoft and DirectLogic PLC 101 "Video Library"
This in-depth look at DirectSoft software & DirectLogic®PLC series of components offers more than 60 tutorials which last an average of 8 minutes each. Topics include inputs, outputs, programming instructions and more. This library includes all “Intro to PLC 101” videos with unlimited access for 30 days with your paid subscription. Please see the Table of Contents for a complete listing of all videos. Activate your enrollment key if you have a coupon from Automationdirect. 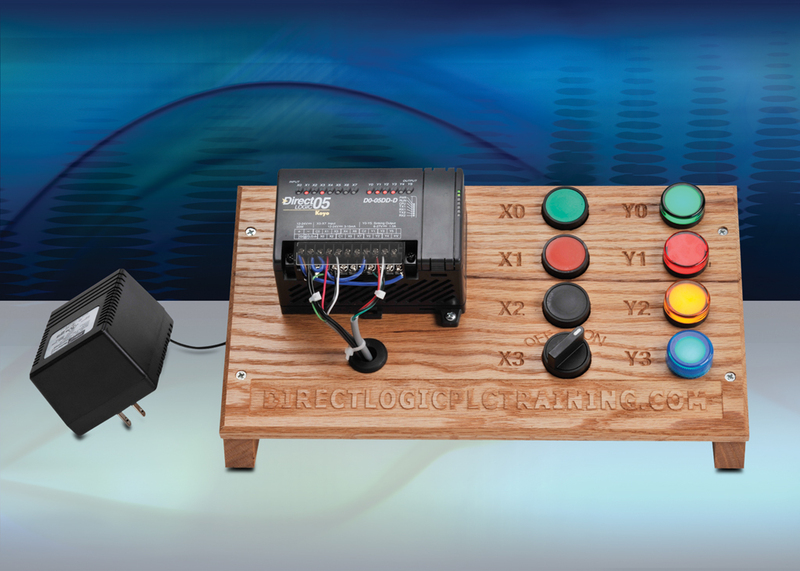 NEW: We now have a low-cost DirectLogic PLC trainer! This portable turnkey trainer (PLC unit used on the trainer is a D0-05DD-D), equipped with pushbuttons and indicators, is available for purchase for $244.00 and offers an easy 24-volt plug and play design. Or, purchase the trainer with a 45 day subscription to the "DirectSoft & DirectLogic PLC 101 Video Library" for $273.95 and save $10 on the combo with free shipping($12 savings). When purchasing the DirectLogic Trainer combo, the subscription time to the video library will be 45 days which ensures allowance for shipping and delivery of the training unit. This library includes all “Intro to PLC 101” videos with your paid subscription. If you prefer to purchase the DirectLogic PLC Trainer alone without the DirectLogic Video Library click HERE. To view the Table of Contents and a few sample videos offered in the "DirectLogic PLC 101 Video Library" click HERE. DirectLogic 100 Programming software is free and can be used to follow along with this video library using the hardware trainer. Click Here to download the free DirectLogic 100 PLC Software. The trainer is not returnable after purchase. 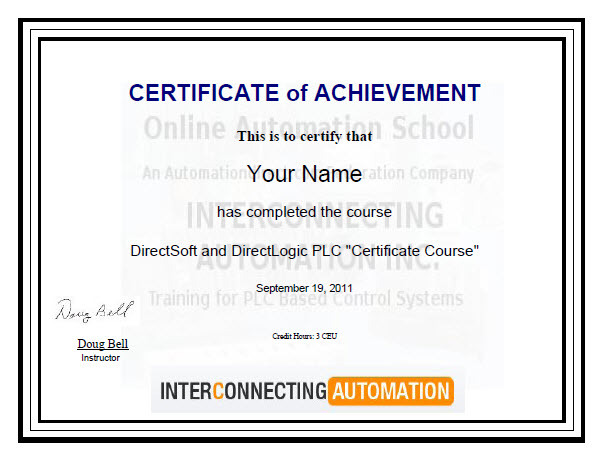 DirectSoft and DirectLogic PLC "Certificate Course"
This continuing education course is a “true” online curriculum offering continuing education credits. With over 70 online-study videos, each lasts an average of six minutes; the course includes quizzes, progress testing plus a final comprehensive exam. You will interact with an instructor by creating and uploading ladder programs to be evaluated and approved to ensure mastery in each section. The Basic DirectLogic PLC Course topics include: sensors, inputs, outputs, programming instructions and more. PLC hardware is not a requirement of the course.You will upload the programs you create as part of the course and we will test them on our trainer. If you would like to try your programs on a PLC before uploading them to us, any DirectLogic PLC will work. Or, once enrolled, you will be offered a discount of $20 and free shipping on a DirectLogic PLC hardware trainer. Each student is allowed 120 days to complete the course of study. Upon satisfactory completion, you will receive three hours of continuing education credits plus printout a Certificate of Completion on your printer. This course is offered for a "limited time" for $239.00.